Are you interested in learning some ways to pay bills off faster? 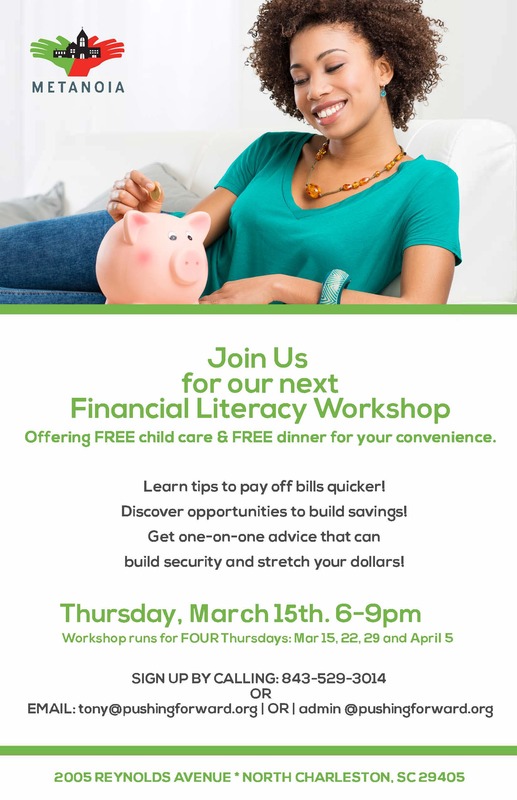 Join us for a FREE Financial Literacy Workshop to learn more! Call 843-529-3014 or email admin@pushingforward.org to hold your spot!